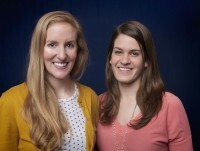 We (Allie Goldstein and Kirsten Howard) met in August 2011 when we applied via Craigslist to live in the same house in Ann Arbor, Michigan. Two years later, we graduated with master’s degrees from the University of Michigan’s School of Natural Resources and Environment (SNRE) and set out on a three-month journey around the United States to uncover stories of climate resilience–people and places adapting to the impacts of climate change. 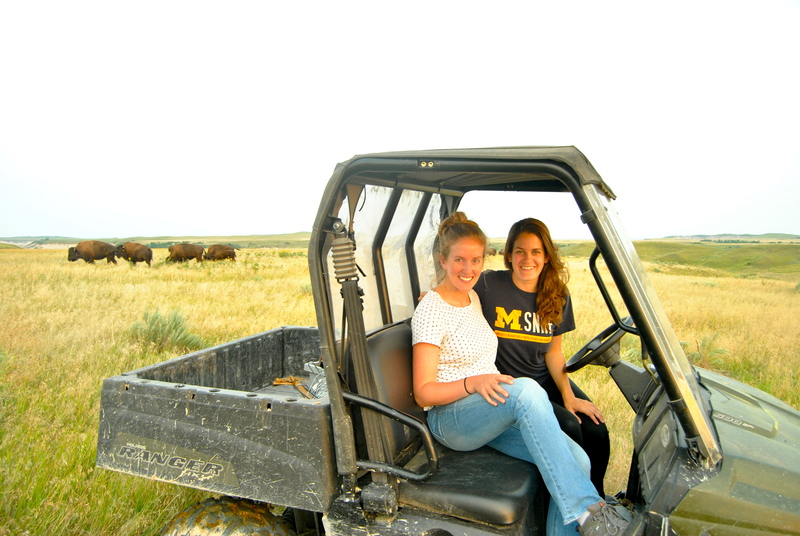 Kirsten (left) and Allie (right) on a bison ranch in South Dakota. Prior to studying at SNRE, Allie worked as an editor at a publishing company in Boston and as a reporter for a rural community newspaper in Ecuador. Kirsten worked at Meridian Institute in Washington, D.C. where she helped bring coastal stakeholders together to grapple with big natural resource challenges. In addition to work and coursework related to climate change, we both have significant experience communicating environmental issues to a wide range of audiences. Allie has a passion for environmental writing and has published climate-related pieces in ReVolt, the Worldwatch Institute’s Climate and Energy blog, The Bates Student, her college newspaper of which she was editor-in-chief; and Stewards, SNRE’s alumni magazine. Kirsten is an avid (amateur) photographer and the summer of 2012 interviewing fishermen, guesthouse owners, a manatee rehabilitation specialist, and local policymakers for a World Wildlife Fund project about Belize’s natural capital. After the road trip concluded in August, Allie joined the carbon team at Ecosystem Marketplace in Washington D.C. and Kirsten began a NOAA Coastal Management Fellowship in Portsmouth, New Hampshire. You can view some of our other work here.